Emily K. Ferkaluk is translator of "On the Penitentiary System in the United States and Its Application to France: The Complete Text." She is an instructor of Political Science at Cedarville University. Americans are returning to a debate over recidivism and criminal justice reform we’ve maintained since the founding of our nation. The early 1800s saw a rise of populist political sentiments in the presidency of Andrew Jackson and a corresponding national discussion over reforming prisons to reduce recidivism. Concerns were voiced not just for protecting the community from crime, but also for helping the prisoner regain a dignified life in society. Thus arose the penitentiary, created as a means of separating prisoners from corrupting influences in prison cells and giving them a civic education and set of work skills they could use after leaving prison. In our modern era, the Trump administration has made criminal justice reform a key part of its domestic agenda. The House of Representatives recently passed a reform bill, known as the First Step Act, on a bipartisan vote. Democrats and Republicans agree that our criminal justice system needs reform. The United States currently incarcerates more people per capita than any other democratic nation, and that high incarceration rate is putting a strain on our governmental budgets, judicial and law enforcement systems, and families. The need for reform is not in question. What we disagree about is whether to reform the prison system or the legal system. One of the largest criticisms of the First Step Act is that it focuses on “back-end” recidivism reform (seeking to reform current prisoners) rather than “front-end” reform that reduces the sentence of some low-level offenses. Still, there are two ways of looking at the First Step Act: what it lacks and what it contains. Alexis de Tocqueville, a French aristocrat who toured American penitentiaries at the height of the 19th-century penal debate in order to help guide French penal reform, would commend us for the reform measures contained in the First Step Act. In his report, “On the Penitentiary System in the United States and Its Application to France,” Tocqueville stressed that any criminal justice reform must moderately balance two goals: preserving the rights of society, and preserving the rights of prisoners. Society, he argued, has a right to promote and protect public safety and order by punishing those who break the law—and to regain at least some of the money it spends in doing so. On the other hand, the prisoner has a right to an education that prepares him to re-enter society as a productive citizen. Both rights are preserved through the right application of corrective justice—a balance of proportional retribution and rehabilitation. The First Step Act protects both of these rights—the rights of society and of the prisoner—by proposing a recidivism program that conducts risk assessments of prisoners. These assessments would weigh the likelihood of individual prisoners recommitting a crime. 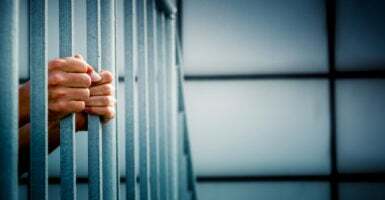 Prisoners would be able to participate in academic classes, prison work, and substance abuse treatment programs in exchange for certain incentives like phone and visitation privileges, being transferred to an institution closer to home, or time credits to spend part of their sentence in pre-release custody rather than prison. These programs require prisoners to serve their full sentence according to society’s laws, while also giving them opportunities to prove their ability to successfully re-enter society without posing a future danger to the community. Tocqueville also recognized that prison work programs have the greatest success on low-risk offenders who are sentenced to the fewest number of years. Such prisoners have not been habituated to a life of crime and can be successfully incentivized to work toward rehabilitation without undermining the principles of retribution or proportionality in punishment. The First Step Act reserves eligibility for earning and applying time credits to pre-release custody to nonviolent, low-risk offenders. Furthermore, time credit programs that are joined to a risk assessment system work because they let wardens and prison administrators determine whether a prisoner presents a low risk to the community. Tocqueville would have approved of this kind of localized authority. In fact, during his visit to America, he was pleasantly surprised at the amount of authority the superintendent of prisons wielded over prison discipline. He believed superintendents were best suited to make those decisions, being the closest to prisoners and having observed their behavior and reformation. Tocqueville also identified certain types of incentives that truly rehabilitate prisoners—particularly family-oriented incentives. His interviews with prisoners in solitary confinement in the Philadelphia Penitentiary led him to remark that “memories of their family have an extreme power over their souls,” thus disposing them to rehabilitation. These very incentives are present in the First Step Act. One incentive is to be relocated to a facility closer to home. Another is to enroll prisoners in a program that gives them “family relationship building, structured parent-child interaction, and parenting skills.” A third option is to allow certain prisoners to go home for pre-release custody. All of these cohere with Tocqueville’s findings. Finally, these reform ideas have been tried and tested by the states. At least 44 states already have good-time and earned-time credit programs in place. And as Tocqueville knew, experience at the local level is the best precursor to federal policy. When Tocqueville was first inspecting American penitentiaries, only a handful of states (predominantly New York and Pennsylvania) had begun to implement new prison disciplines such as solitary confinement and prison labor. These penal disciplines proved effective, and despite their relative newness, Tocqueville recommended the French adopt the same disciplines. Tocqueville’s words of wisdom should encourage us to pass the proposed recidivism reform measures without fear of killing any future criminal justice reform. This first step toward penal reform is not our last.